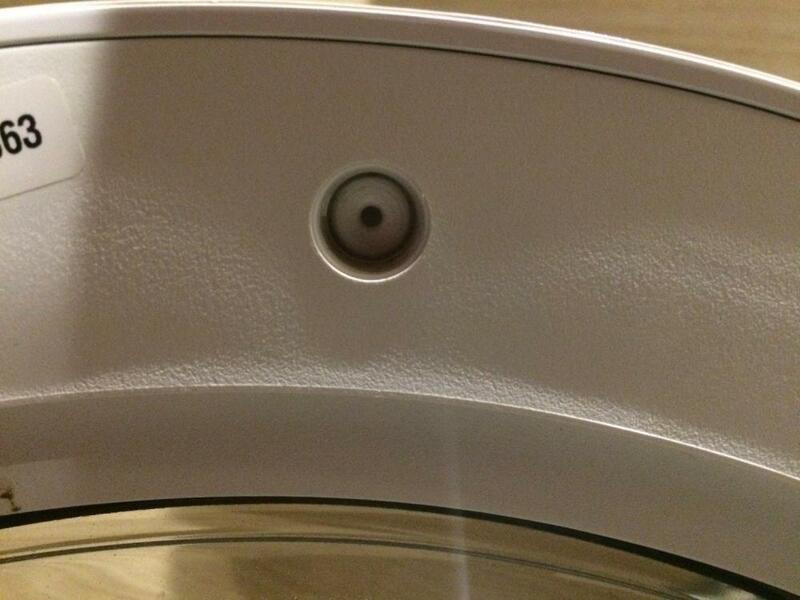 I am looking to replace the hinge on my Bosch Exxcel 8 VarioPerfect. The hinge seems readily available but I am unable to work our how to take the door apart. In the past doors used to have a series of screws for fixings and the door could be separated by removing these. However I notice that the door surround on this machine doesn't have any screws. Instead there are round plastic discs with a hole in the centre. Are these factory moulded / fitted permantly or can these be removed somehow? Or have am I over thinking it and I simply need to prise the door apart? Some washing machine doors are now designed to not be taken apart. Some need carefully prising apart with a small flat bladed screwdriver. If these plastic discs go all around the door they may well be how the two halves of the door are held together. If you try searching for door spare parts on 4Washerhelp spares you might see if the door parts are separate or if the door is only available as a complete door. Thanks Andy. This confirms my suspicions that it may be one piece. I am keen to go down the route of just changing the hinge as It's the difference between £10 for a new hinge or £125 for a new door! What? That's a ludicrous price for a door - is it gold plated? Do they do just the door inner for your model? Like this one? The cost of many appliance spare parts these days is beyond a joke. Not that I can find but I'll dig around some more. I've gone to the schematics on the Bosch website and there are 5 different parts; handle, hinges, glass, door surround & inner door but the only part that is sold by Bosch is the door and the only other parts I can find on other websites is a generic hinge that fits multiple models.